Rosa Beltran Design: INTRODUCING THE "FLEXIBLE SECTIONAL"
So a couple of years ago I realized that a lot of my custom furniture clients were apartment dwellers or decorating a home that they might not be in for ever and ever, and the idea of the"flexible sectional" was born. 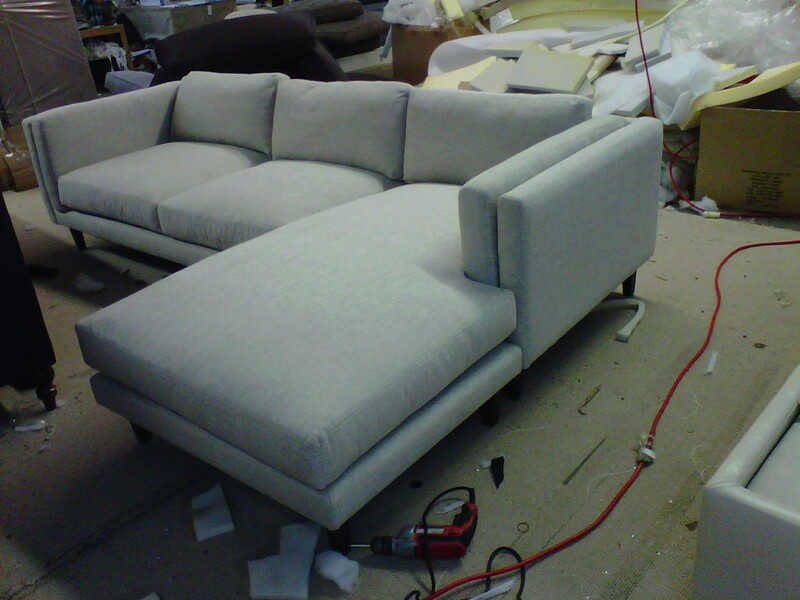 Rather than having to commit to a sectional with only one possible configuration, I devised a way to install hidden clips on both ends of a sectional so that the chaise can attach to either end and you're not stuck with just one possible configuration. Make sense? Since then it's been an ultra-popular option whenever I tell people about it, and because I just received yet another email asking about the possibilities of this, I thought I should just put it out here on the blog: Yes, a "flexible sectional" is a thing...yes, it's totally doable...yes, we can make you one. There you have it. I'm sure I'm not the first company to imagine or offer this, but I do know that the major box stores don't, so it's a huge plus for my customers who come to me wanting the general look of, say, a Crate & Barrel sofa, or a Restoration Hardware sofa, and then to be able to customize it any way they want to, or turn it into a flexible sectional if they see fit. You can see that the sofa below is a "flexible sectional" by looking at the frame underneath the chaise cushion. You'll see it's actually two parts instead of one continuous piece. 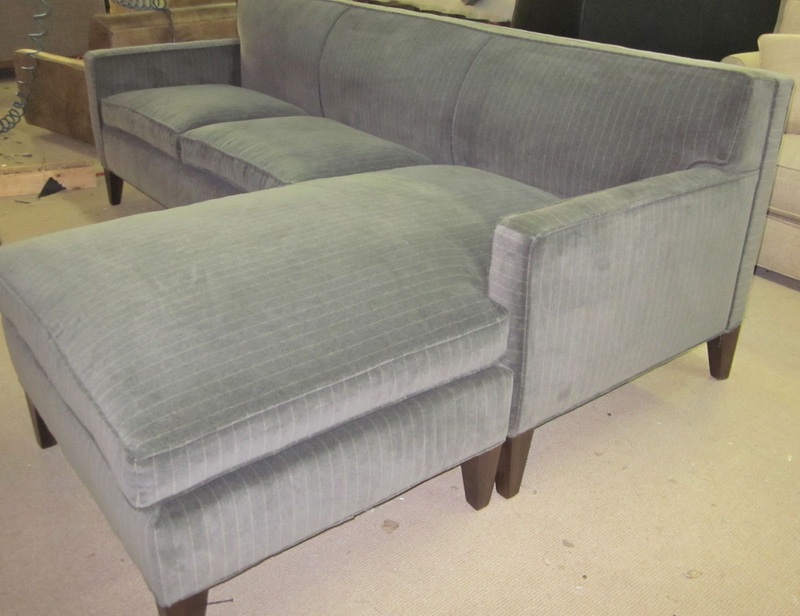 The "ottoman" (for lack of a better word) can be unclipped and attached with recessed hidden hooks to either end of the sofa, so that all you have to do to make a change is flip the chaise cushion over and swap it with the opposite end cushion. The only clue that belies the flexible nature of the sofa is the division in the frame where the ottoman meets the sofa, and the extra set of legs where the two parts meet. Sorry for the messy photos, but you know, that's how we roll at the factory. Believe me, you want a to see a factory floor littered with piles of foam and staples and all the tools of the trade...meaning a lot of creating is going on there and due to the sheer volume, the craftsmen probably know what they're doing. Or like the saying goes: "Never trust a skinny chef."